Budget Cleaning: Make Your Own Dishwasher Tablets for Cheap! NO Borax! 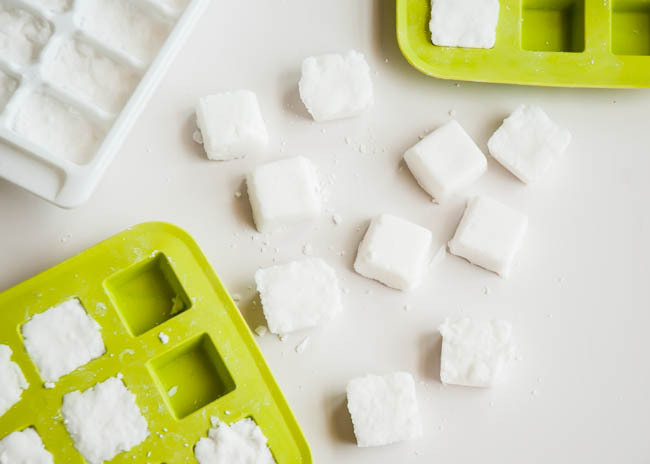 We’ve got the recipe on how to make your own dishwasher tablets without the need for Borax! These tablets are super cheap and environmentally-friendly, too! Save your money and be environmentally-friendly at the same time by making these DIY dishwasher tablets! These tablets are much safer than store-bought tablets, and contain 0 harsh chemicals! 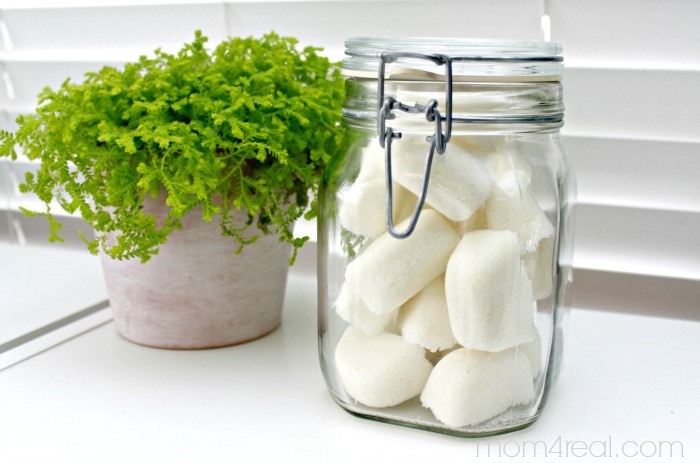 They’re also Borax-free for those who are having a hard time finding Borax at the store! Each load of dishes will run you about $0.09! Make these today and make buying your own dishwasher tablets a thing of the past! 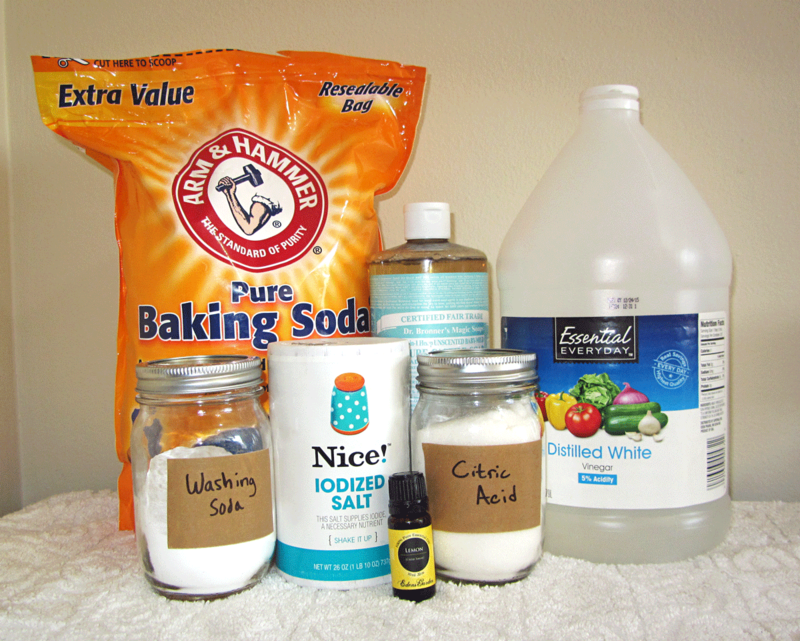 2) 2 cups washing soda – If you can’t find washing soda at the store, you can make your own! All you need to do is bake baking soda for about 1 hour at 450 F! That’s it! You can now make washing soda whenever you need it! Place all the dry ingredients in a bowl and mix them together. Add in the vinegar a little at a time. You will see some fizz, but don’t worry! This is to be expected. Add in the castile soap and mix. You can also add in the essential oil now if you like. Press the mixture into the ice cube trays. Leave them to dry for 24 hours before taking them out of the ice cube trays. Store the dishwasher tabs in a container with a tight lid. Photos: Mom 4 Real, Pins and Procrastination, Hello Natural. 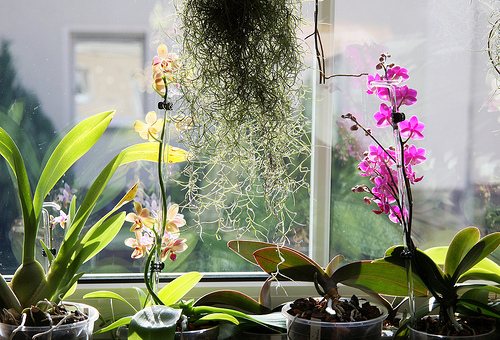 Spring Cleaning 101: Clean Your Houseplants from Dust and Bugs! 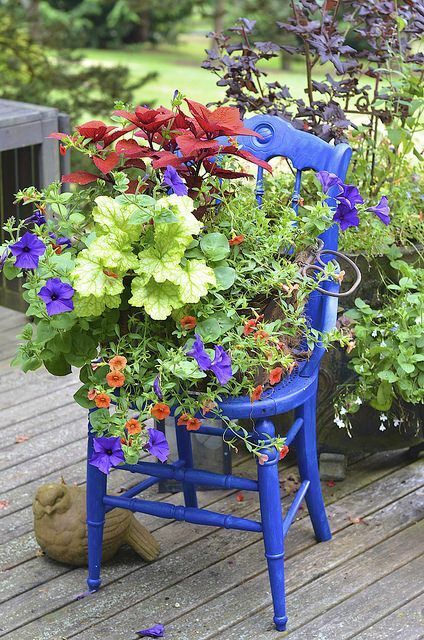 Gardening DIY: Turn a Thrift Store Chair Into a Cute Shabby Chic Inspired Planter!